We're all have been busy with our lives, study, work, and so many things to do every day sometimes makes us forget to treat ourselves. Tired, stress or work duty can damage our hair. Me, personally often curls my hair at least 2 times a week for events or photoshoot. Of course, I use conditioner and vitamin to treat my hair, but that's not enough. My hair still branching and dry, so when I got invited to The Shampoo Lounge Bali, I couldn't be more grateful to come! The Shampoo Lounge Bali is Bali's professional full service salon, barbershop and spa. 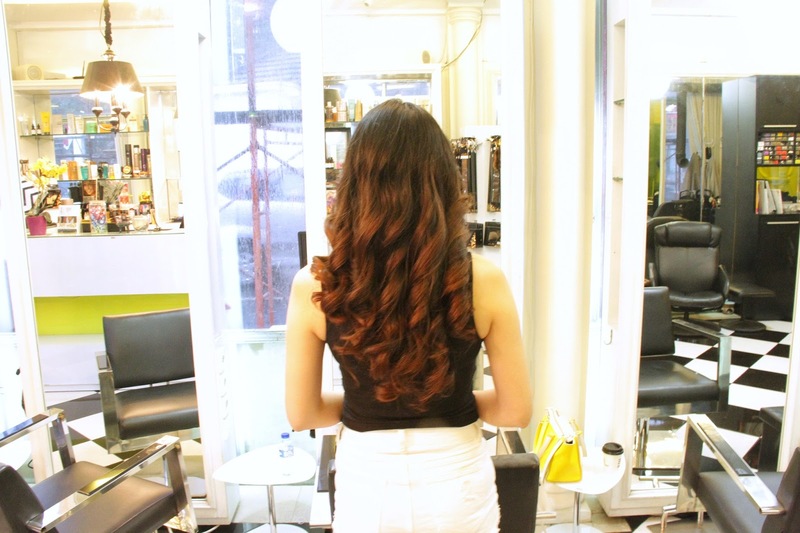 There are two branches of the salon, which is in Seminyak and Nusa Dua. I chose to go to Seminyak, because it's near my home. 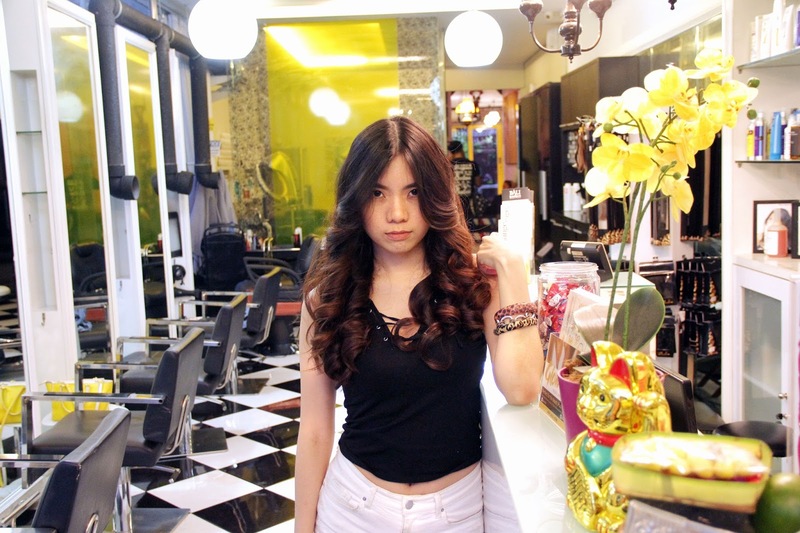 Located at Jalan Raya Basangkasa 8X, Seminyak, the salon is one of the popular salon for tourist and locals around. The interior reminds me of Kardashian's house with black and white floor, gives a modern and chic ambience and great atmosphere. Well, which treatment should I get then? For tangled and dry hair, they suggested me to take Intensive Hair Repair + Blow. I will also got upper body massage, wow! Let's just get started! As you can see, the end of my hair is dry and have branches everywhere. Tangled hair has been my everyday routine. After washing my hair, they started to mask my hair evenly. While waiting for the mask, they massage my upper body gently. I'm not a person who love massage, so I'm a bit hesitant. But, thankfully the massage technique is good and so relaxing. After the mask and massage is finished, they washed my hair again and I already feel the treatment works, my hair feels alive and so smooth. No more tangled hair, yay! I swear time flies here, it took only 75 minutes for my treatment, from hair wash, mask, massage, and blow! 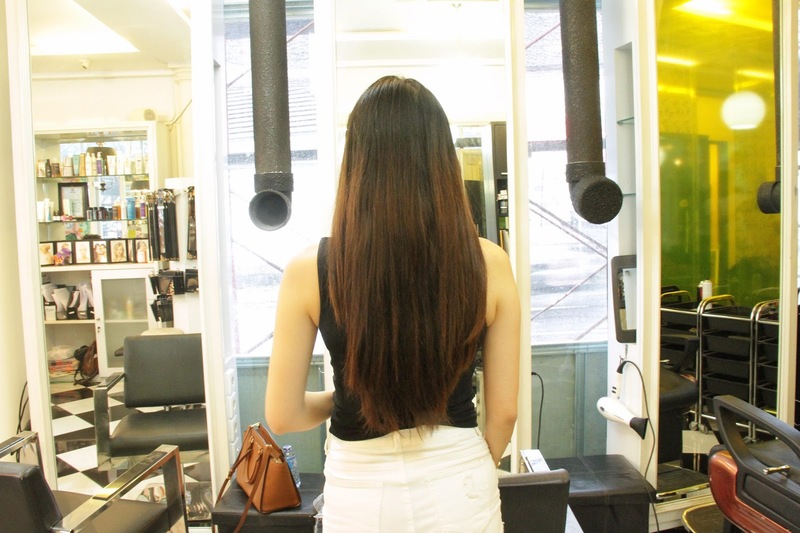 For special hair treatment, the price range is around IDR 200.000-300.000. 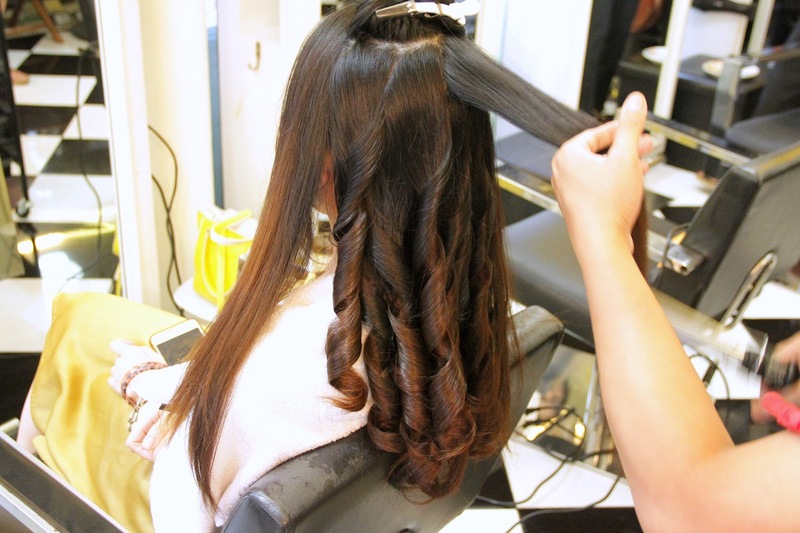 Although most of us (girls) can curls our hair today, it gives you a whole different result when you leave it to the expert. Healthy hair? Check. Voluminous Bombshell hair? Check. Now, I'm ready to go anywhere with hairstyle like this <3<3 Thank you The Shampoo Lounge Bali for making my dreams come true, even the morning after treatment, my hair still looking great as you can see on my instagram. Well, what are you waiting for? Go book your appointment, now! share location on google map donk... interesting... what other treatment do they have? Your hair looks so gorgeous!!! You hair looks stunning! I would love to get my hair done here. Wonderful hair, you look fab! I love how they styled it. Your hair looks amazing! You are so beautiful! wow they did such a great job! Wow your hair looks incredible, I need to check out this salon! OMG the end results are beautiful!! You have luscious curls and beautiful hair like a Victoria Secrets super model.